Earlier this month, I saw a new 3-Card Hold’Em poker carnival game at the Golden Nugget in Las Vegas. I wrote down the rules, and finally got around to analyzing the game today. Coincidentally, I found a reader of this blog playing the game at the Nugget. We were joking about the game, when he flops the nut straight (he has AK, and the Flop is a Q). So he bets the Turn and River blind, and the board comes runner-runner spades. I figure he’s ok, because a straight beats a flush in 3-card poker. Then the dealer turns up her hole cards, and uses both of them to make a straight flush. Unbelievable. The game is played between the dealer and each player. Each player and the dealer receives two hole cards, and combines them with the community cards on the “board” to make their best 3-card poker hand. You do not need to use any of your hole cards to make a hand (i.e., you may “play the board”). Player posts an Ante before the start of the hand. The Player and the Dealer are each dealt two hole cards. The dealer turns up the Flop card on the community board. 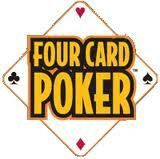 The Player decides whether to 1x bet the Flop, or to fold his hand and lose his Ante. The dealer turns up the Turn card on the community board. The player decides to either 1x bet the Turn, or check. The dealer turns up the River card, then turns up his hole cards. The Dealer requires a pair of 4’s or better to qualify, else the Antes push. All remaining bets receive even-money action against the Dealer hand. On the Flop, you should always make the 1x bet (never fold your Ante). On the Turn, use the following table to decide when to bet your hand, else check. You should only bet a pair under the stated conditions, and when your hand beats the board by more than just kickers, except when betting the nut flush draw. Straight or better Always bet. Flush If scare straight AND scare flush board, only bet 4th nut flush. if the board is paired, bet your nut flush draw. 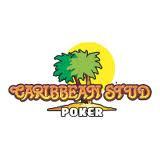 if not scare straight and not scare flush, bet 2 GSDs and two flush draws with a 7th nut flush draw or better. Simple Strategy for Turn Bet. This simple strategy decisions are occasionally wrong by more than 10% of the Turn bet, but overall, it works out well enough. The mistakes are pretty obvious when you look at them, it’s just not worth optimizing the strategy unless you want to play it seriously. The game will probably be gone in a few weeks anyway, I just wanted to see what a reasonably strategy would yield. The Straight-or-Up bonus bet has a 4.49% house edge, which isn’t too bad, as far as side bets go. The Pair-or-Suited side bet on your two hole cards is a little better, costing only about a 4.8% house edge. hmmm…interesting…I will be heading to Vegas on Thursday…may have to check this out…if I make it over to Downtown. So when the dealer does not qualify, you get no action on the ante but you get even money on any raises you have made? Right. Even if your hand is lower than the dealer hand, if the dealer doesn’t qualify with a pair of 4’s or better, your Ante is returned to you (provided you did not fold). I called up the Nugget to clarify this rule, and they confirmed it. First and most important, the player MUST BEAT THE DEALER to have your ante returned to you, if the dealer does not have a pair of 4’s or better. For example if the player has a pair of 3’s and the dealer has a pair of 2’s the two back bets would be paid and the ante bet would push. Second on the paytable for the Straight or Up wager, TRIPS pays 9 to 1. Thus moving the House Advantage down to 4.49%. Thanks, that makes sense. I knew I must have copied down the Straight-or-Up paytable wrong. They didn’t have any rack cards, so I had to type it into my phone. However, just I called the Golden Nugget (after your comment) to confirm the Ante pushes when the dealer doesn’t qualify, regardless of the player hand. They read me their procedure for the game, and said it was clear — the Ante pushes when the dealer doesn’t qualify, even if it beats the player hand. Whew. I really didn’t want to re-write the strategy for a different Ante rule. That brings up an interesting question: What would you do if you had to re-write the strategy? Obviously you would have to fire up the for-next loops and recalculate the EVs for every hand at each decision point, but then what? You’ve got this enormous amount of data that needs to be organized and simplified into something that a human can use – or at least can be explained. Do you have any tips/tricks that you use to make the process more bearable? Or is it something you just have to painstakingly distill over the course of several days? It won’t take too long to fix the strategy for the real Ante rule. The true EV for the game (Ante only pushes if player beats dealer) is -3.0494%. The strategy I posted runs at about -4%, so I should probably improve it. I’ll try to do this now, before I forget about it.